The Versifloat concept was conceived in 2005. 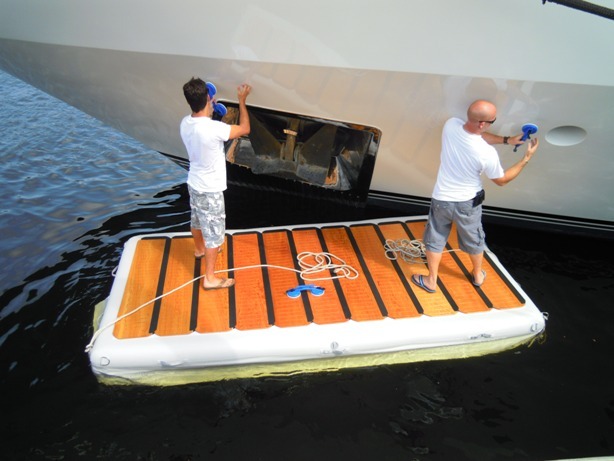 Born out of necessity, the original Versifloat was designed by a Mega Yacht Captain and tested by crew. Still to this day designed and built by the same ex-Captain. Our yachting related Inflatable products are now encompassed under the same company name, Universal Inflatables LLC. 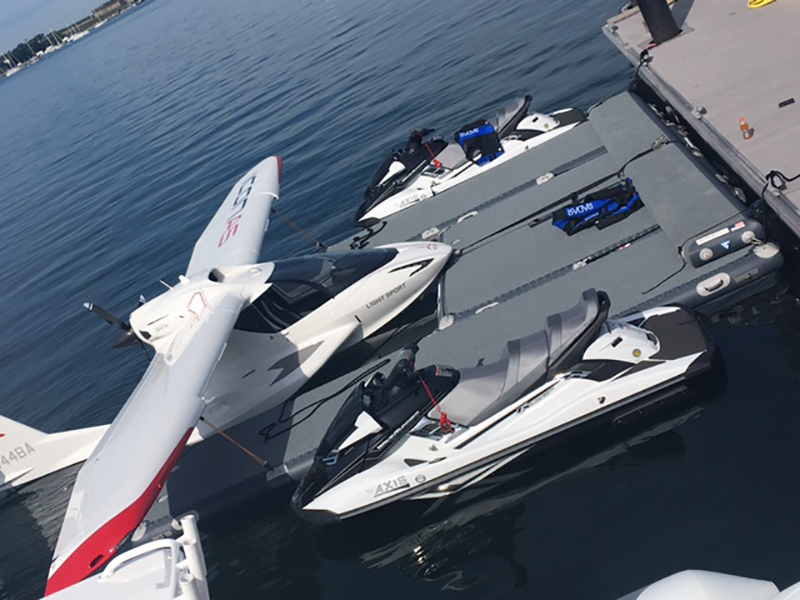 Our two primary product genres being Inflatable platforms, Flat and Cylindrical fenders and Fender systems. 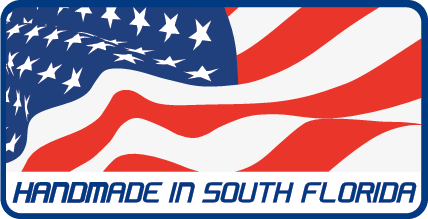 All of our products made locally In Fort Lauderdale, FL. Finding a suitable floating work platform has always been an issue for yacht and crew. We came up with the solution to every marine professionals needs. 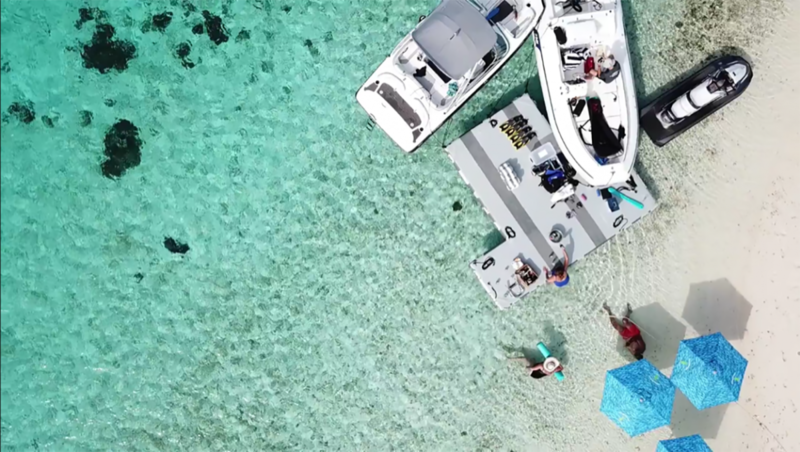 Whether in a shipyard, marina or at anchor you can easily inflate/ assemble and deploy, retrieve and store your own float for work or play. The Versifloat has since evolved from Generation 1 to Generation 7. There will certainly be Generations to come as we are constantly evolving and improving our techniques based on custom requests and customer feedback. Custom builds and attention to detail are our realm. 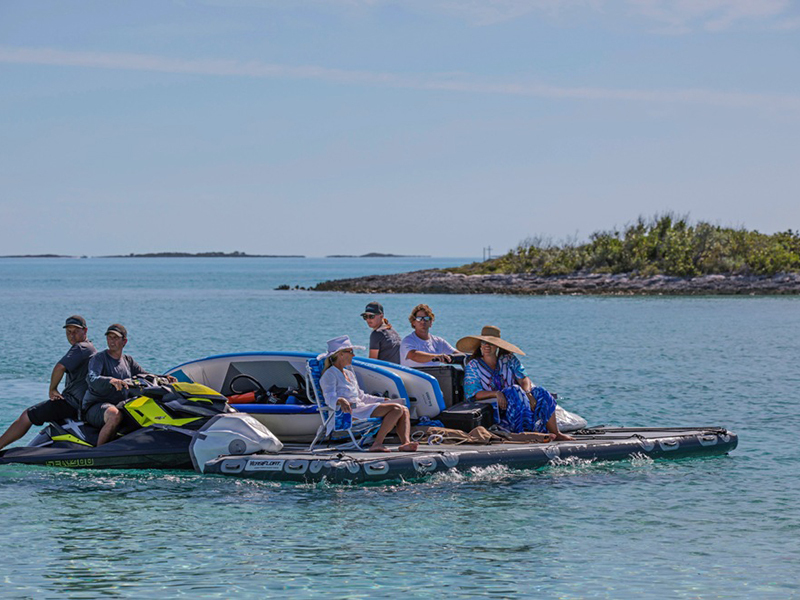 Our U.S. Utility patented versatile Inflatable platforms were designed with optimum stability, ease of use, limited storage, versatile functionality and principle ergonomics in mind. 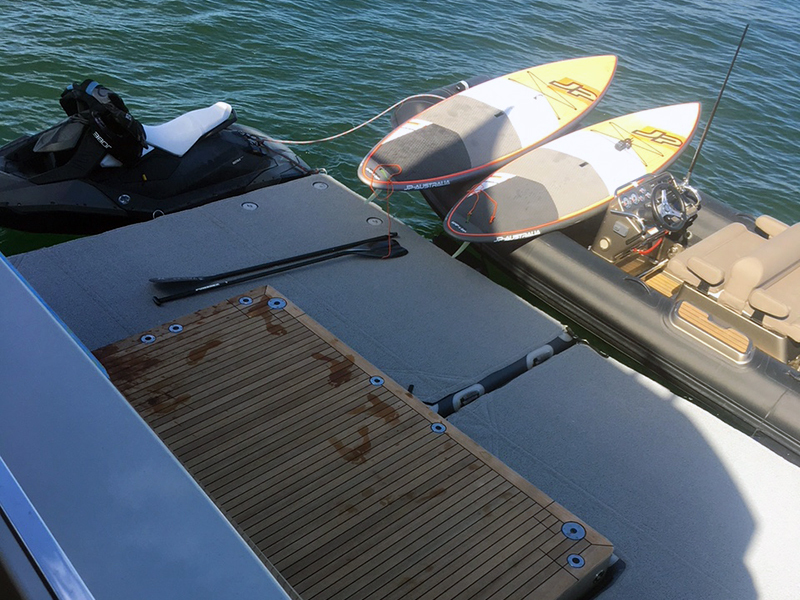 Our platforms are constructed of Drop stitch fabric which is commonly known as “inflatable paddleboard technology”. Allowing us to inflate the docks to a surprisingly solid surface. We do not carry finished stock items, other than a range of welded inflatable cylindrical fenders. We prefer to keep our fabrics on a roll for up and coming made to order products from docks to custom fenders. We take great pride in our quality and overall finish. If we have access to the vessel we can pattern off the transom for a form fit, making it look like it really belongs there. Glue is nothing we really work with anymore. There are simply far too many deficiencies related to that method of construction. Particularly in Florida and the Caribbean, it’s simply too hot and humid for glues. Heat is very useful tool when manipulating glues during the construction process. Glues operate in a goldilocks zone, too cold and they won’t bond properly, too hot and they let go all together. PVC Glues typically lose their properties 2 to 3 years after initial construction. Especially after an abusive existence and that is typically the case. With PVC Glues this is only the tip of the iceberg in terms of its shortcomings, the list is long. I’ve been at this for a while now, I’m the only manufacturer in the USA working with Drop stitch fabric, all other drop stitch products come from China or Korea, and they are all glued!!! I am the only guy in the world who has successfully welded Drop stitch. I have developed the method and made my own tools to do so. Aside from the technical issues related with this process there is also a cosmetic element that is difficult to achieve. So having said that, our air chambers are industrially sewn and then heat welded (vulcanized). Our outer shells are separate from the air chambers. The protective outer shells (or cases) are also industrially sewn, heat welded and RF welded. All the accessory attachments are then attached to the shell, the shell then laced closed with the inflatable chamber/s inside.